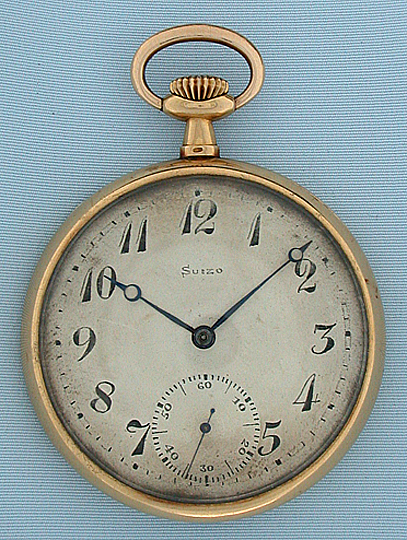 Beautiful slim 18K gold antique pocket watch enameled with the American Eagle circa 1920. 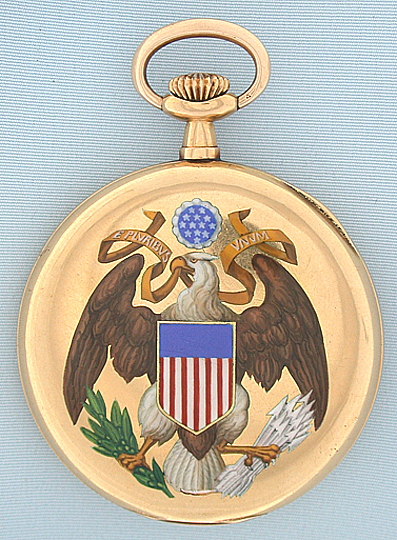 The case back with a beautifully painted American Eagle with shield and motto. Original silver dial with natural oxidation, attractive light aging, and scratch. 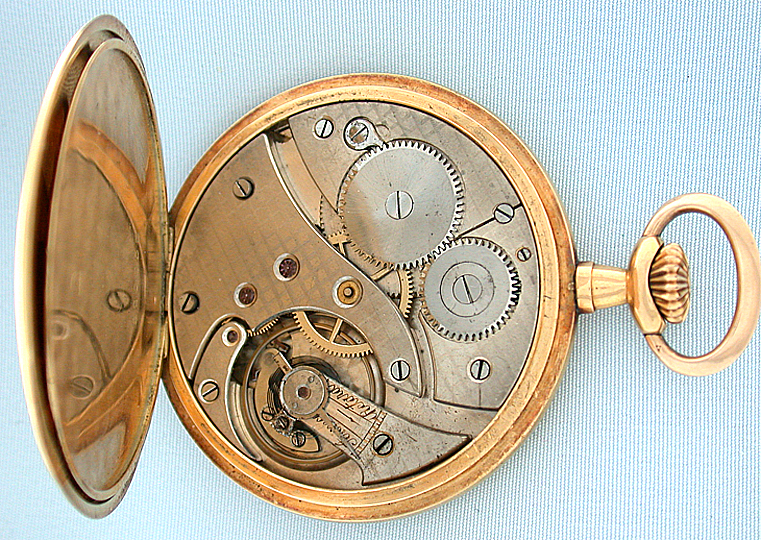 Nickel damascened 15 jewel movement.